Adopt a target star for only $10! All stars have been observed for up to 4 years by the Kepler space telescope, as part of a search for alien planets. Choose your star by entering its star #, enter the name you wish to appear on the certificate, then click Donate Now. Need more than one star? Use the Shopping Cart to adopt many stars with a single payment. Adopt a double star for only $15! All double stars come from the Kepler Eclipsing Binary Catalog. These are two stars embraced in the cosmic dance of gravity, which appear as a single point of light in the sky. Choose your star by entering its star #, enter the name you wish to appear on the certificate, then click Donate Now. Use the Shopping Cart to adopt many stars with a single payment. Adopt a suspected planet host for only $25! These are stars listed in the NASA Exoplanet Archive where a planet-like signal has been found, but where other scenarios that could mimic a planet have not yet been ruled out. Choose your star by entering its star #, enter the name you wish to appear on the certificate, then click Donate Now. Use the Shopping Cart to adopt many stars with a single payment. Adopt a confirmed planetary system for only $50! These are confirmed planetary systems identified in the NASA Exoplanet Archive. All of these stars have an official Kepler or K2 number. Choose your star by entering its star #, enter the name you wish to appear on the certificate, then click Donate Now. Use the Shopping Cart to adopt many stars with a single payment. Adopt a bright star visible without a telescope for $100! These are the brightest stars observed during Kepler’s extended (K2) mission. Under a dark sky they are visible either with the unaided eye or using binoculars; no telescope is required. Choose your star by entering its star #, enter the name you wish to appear on the certificate, then click Donate Now. Use the Shopping Cart to adopt many stars with a single payment. 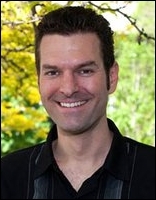 WHO WE ARE: I’m Travis Metcalfe, an astronomer at the Space Science Institute in Boulder, Colorado. I started this nonprofit adopt a star program in January 2008 to help raise research funds for the Kepler/TESS Asteroseismic Science Consortium, a large international team of scientists. Our work is central to the science goals of the Kepler and TESS missions, but NASA is not allowed to fund foreign organizations—that’s why we need your support! WHAT WE DO: NASA launched the Kepler space telescope in 2009. It targeted nearly 200,000 stars in the summer Milky Way, followed by 300,000 stars all around the sky. Some of the stars have planets, and some of those planets pass directly in front of their star. We determine the sizes and ages of these planetary systems by measuring the properties of their stars. Kepler has stopped collecting new observations, but TESS launched in April 2018 to survey nearly the entire sky. We have a lot of work to do! WHY CHOOSE US: We are professional astronomers, and this program is run by a 501c3 nonprofit organization. You can feel confident that your donation will support cutting-edge research on the stars that you adopt. So adopt a star and support our work! Who knows? Maybe an Earth-like planet will be found around the star that you adopt—how cool would that be? HOW IT WORKS: First, select a target star from our database. If you don’t choose a specific star, we will give you the brightest star available. Next, enter the name or dedication that you would like on your certificate. Finally, click the Donate Now button and complete your donation using your credit card or bank account. 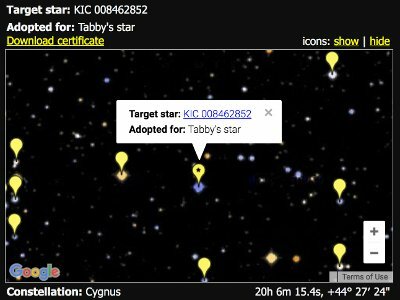 Within a few minutes our automated system will send you an email with links for you to download your certificate and view your adopted star in Google Sky. IF YOU DID NOT RECEIVE OUR EMAIL: Check your PayPal email address and your junk email (spam) folder. IF YOU NEED A COPY OF YOUR CERTIFICATE: Search our database for the name or number on your certificate. 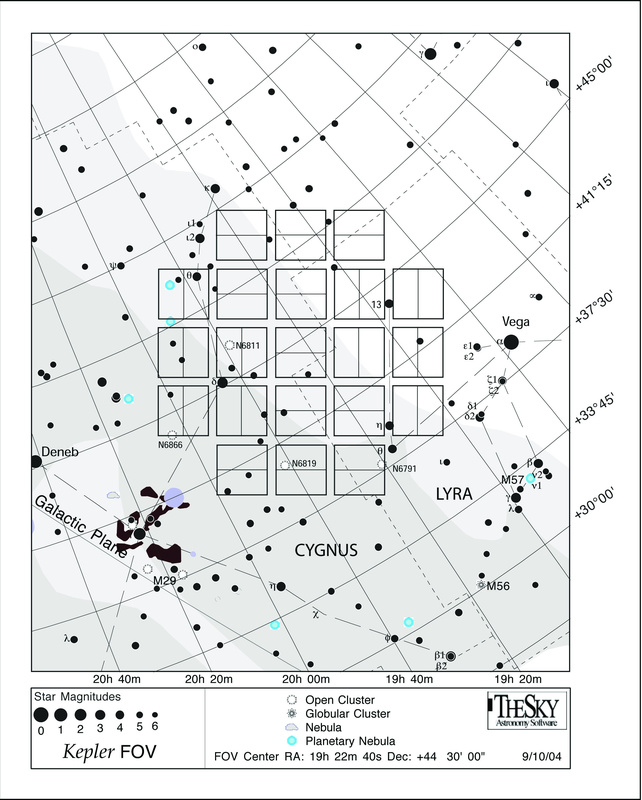 TO FIND YOUR STAR WITH A TELESCOPE: Use the coordinates from your star page with this star chart or atlas. IF YOU HAVE OTHER QUESTIONS OR COMMENTS: Please send your email directly to Travis.